A very thoughtful person recently commented on my blog about how he would like to see me engage in greater depth the question of how one should translate the phrase κολασιν αιωνιον/ kolasin aionion in Matthew 25:46, which Dr. Hart renders as “the chastisement of that Age” and which pretty much everyone else renders as “eternal punishment” (thus, for example, the NASB, NIV, RSV, NRSV, NEB, NAB, TEV, ASV, the Jerusalem Bible, Mounce’s version, and Phillips version. (I apologize for the alphabet soup, but you get the idea.) The KJV and the Douay-Rheims render it “everlasting punishment”. My commenter also asked to see how the term was understood in non-biblical texts—a very sensible question. I deal with the questions in my book Unquenchable Fire, so I trust that dealing with it here too will not detract from future book sales. After all, the book’s 239 pages deals with many other things besides—and yes, this is shameless bit of self-promotion. Anyway, I happily now oblige the commenter and will examine the issue of how to translate and understand the words κολασιν αιωνιον/ kolasin aionion in Matthew 25:46. This involves: 1. how to translate kolasis; 2. how to translate aionion; 3. how the phrase and concept of punishment in the next world was understood by hearers at the time of Christ. This last is particularly important, because it reveals how Christ would have been understood by His hearers. Here the concepts are more important than the words themselves, since of course Christ spoke Aramaic, not Greek. The meaning of the word kolasis. The noun kolasis is cognate with the verb kolazo, which in Homeric Greek (my text books tell me) was derived from kolos, mutilated, and meant “to cut short, to lop, to trim”. When used figuratively it meant “to impede, to restrain, to punish, to chastise”. As applied to plants it meant “to prune”; when applied to persons it meant “to punish” or “to maim”, and thus was often used when referring to the punishment meted out to slaves. In the pagan world, certain monuments were inscribed using the word kolasis to threaten divine retribution for those who broke sacred cultic laws. In Septuagint Greek it was used for divine retribution as well, such as in Ezekiel 14:3 where it described the punishment due to idolaters for their sins, and in the Wisdom of Solomon 11:13, where it is used to describe the plagues upon the Egyptians. In Wisdom 19:4 it described also the final punishment of the Egyptians drowned in the Red Sea. In 2 Maccabees 4:38 the word described the punishment of a certain Andronicus who was killed for his crime. These examples all referred to punishments that were final, and so show that the word does not simply mean “correction” as opposed to timoria, (which means “vengeance”) as is often asserted. Here kolasis is indistinguishable from timoria, since those suffering punishment were killed for their sins and crimes, and could not benefit from any correction. The sharp distinction therefore made between kolasis and timoria, between correction and vengeance, does not hold in these instances and should be abandoned as the lens for interpreting the meaning of kolasis. That is perhaps why one scholar wrote, “Aristotle differentiates the word [kolasis] from timoria, but in late Greek the distinction is not always observed”—as we see in the Septuagint. In the instances cited above (which are more relevant to the New Testament usage of the word than anything from Aristotle) the word means punishment and retribution. The meaning of the word aionion. In discussing the word aionion or its root aion in the Scriptures it is helpful to leave the analytical and philosophical world of Hellenism for a bit and return to the thought world of the Hebrews. In that world the primary fact about man is that he does not live for an aion, but that he is like the grass of the field, a flower which blooms and fades almost overnight (Isaiah 40:6-7, Psalm 90:6). In this world, ten generations were indistinguishable from forever: thus Deuteronomy 23:4—“No Ammonite or Moabite shall enter the assembly of Yahweh; even to the tenth generation none belonging to them shall enter the assembly of Yahweh forever [Hebrew ad olam]. In this world ten generations were “forever”, ad olam. The word olam therefore meant “something beyond human reckoning and counting”. The word had some elasticity; some things beyond counting were finite, and some were infinite. It hardly mattered, since both were beyond counting or calculation anyway. Thus in Amos 9:11, the House of David is described as ki mei olam—(rendered in the NASB as “in the days of old”), a very long time, time out of mind, but not infinite. God, on the other hand, is described in Psalm 90:2 as existing meolam ad olam, (in the NASB “from everlasting to everlasting”)—infinite indeed. In Genesis 21:33 Yahweh is described as El olam, “the eternal God”. “Sometimes the olam is doubled up: “olam of olams” as in Isaiah 45:17, where God saves Israel with a salvation olam olamim, “an everlasting salvation”. Sometimes the word is paired with ed, so that God’s throne is described in Psalm 45:6 as olam wa-ed. The point is that the elasticity of the word olam as referring to something virtually uncountable is reflected in how the word is translated into the Septuagintal Greek. Thus in Amos 9:11 the House of David is from emerai tou aionos, from days of aionos. In Psalm 90:2, God exists apo tou aionos eos tou aionos. In Genesis 21:33 the Lord is theos aionios. In Isaiah 45:17 God saves Israel with a soterian aionion; in Psalm 45:6 His throne endures eis aiona aionos. In Tobit 13:1 God lives eis tous aionas. In Psalm 84:5 those who dwell in God’s House will praise Him eis tous aionas ton aionon, “forever”. Thus the nuance of the word aion refers not to something of long but limited duration (like a century is long but limited) but to something past human counting, and it is therefore used to describe the eternity of God and His throne. (That is why the word is also used to designate “the world” in Hebrews 11:3, for the world too is immense beyond comprehension.) In the same way the word aionios refers not to a well-defined and limited age, but to something limitless. The theos aionios of Genesis 21:33 is not “the age-long God” or “the God of that Age”, but “the eternal God”. We also see such usage reflected in Philo: in his work on Noah’s Work as a Planter [in chapter 8], Philo writes of “the unending [aidios] word of the eternal [aionion] God”. Those like Ramelli who insist on making a sharp distinction between aidios (as meaning “unending”) and aionion (as meaning merely “age-long”) have a problem, for here we would then have the situation where God’s word was unending whereas God Himself was merely age-long. Obviously Philo uses the two words as virtual synonyms. The word aionion therefore does not have as its root meaning simply “age long” or “pertaining to an age”—i.e. something long but in principle of limited duration. Rather its usual meaning refers to something essentially unending, eternal, beyond all calculation and comprehension. That is why Philo could speak of the unending word of the aionion God. Given the usage of the word in the Septuagint, we can see how the default mode of translators is to render the word “eternal” or “everlasting” in Matthew 25:46, for there is nothing in the text itself to limit its meaning in terms of duration (as there is, for example, Romans 16:25-26 or in Amos 9:11 LXX). This is especially apparent when the same word aionion is used in Matthew 25:46 to describe both the life given to the righteous and the punishment given to the wicked, for if the life given to the righteous is eternal and unending (being the life of the age to come), then the punishment of the wicked must be as eternal and unending as well. How the concept of punishment in the world to come was understood at the time of Christ. These commentators’ understanding of kolasin aionion as involving endless punishment is confirmed by the writings of the inter-testamental period. We cite three examples from this period as illustrative of the thought of the whole. “The earth shall give up those who are asleep in it, and the dust those who dwell silently in it, and the chambers [of Hades] shall give up the souls which have been committed to them. And the Most High shall be revealed upon the seat of judgment and compassion shall pass away and patience shall be withdrawn…And recompense shall follow and the reward shall be manifested; …Then the pit of torment shall appear and opposite it shall be the place of rest, and the furnace of Gehenna shall be disclosed and opposite it the paradise of delight. Then the Most High will say to the nations that have been raised from the dead, ‘Look now and understand whom you have denied…Look on this side and on that: here are delight and rest and there are fire and torments!’ (7:32f)… “I [God] will rejoice over the few who shall be saved, because it is they who have made My glory to prevail now, and through them My name has now been honoured. And I will not grieve over the multitude of those who perish, for it is they who are now like a mist, and are similar to a flame and smoke—they are set on fire and burn hotly and are extinguished’” (7:60- 61). It is clear from these passages that “the pit of torment” and “the furnace of Gehenna” are eternal, for no ultimate restoration of the wicked is in view. On the contrary, their fate is to be “set on fire and burn hotly and extinguished”. We cite next from The Book of Jubilees written in about the second century B.C. “If either of you devises evil against his brother, know that from henceforth everyone that devises evil against his brother shall fall into his hand and shall be rooted out of the land of the living and his seed shall be destroyed from under heaven. But on the day of turbulence and execration and indignation and anger, with flaming devouring fire as He burnt Sodom, so likewise will He burn his land and his city and all that is his, and he shall be blotted out of the book of the discipline of the children of men and not be recorded in the book of life, but in that which is appointed to destruction, and he shall depart into eternal execration, so that their condemnation may be always renewed in hate and in execration and in wrath and in torment and in indignation and in plagues and in disease forever” (36:9-11). Once again we see the presupposition that the day of final judgment, described as a day of turbulence and execration and indignation and anger for the wicked, is the time when they shall “depart into eternal execration, so that their condemnation may be always renewed in hate and in execration and in wrath and in torment and in indignation and in plagues and in disease forever”. A more complete expression of unending punishment could scarcely be imagined. Finally we quote from The Book of Enoch, which dates from the first and second centuries B.C. In one place we read: “I looked and turned to another part of the earth and saw there a deep valley with burning fire. And they brought the kings and the mighty and began to cast them into this deep valley. And there my eyes saw how they made these their instruments, iron chains of immeasurable weight. And I asked the angel of peace who went with me, saying, ‘For whom are these chains being prepared?’ And he said to me, ‘These are being prepared for the hosts of Azazel, so that they may take them and cast them into the abyss of complete condemnation…And Michael and Gabriel and Raphael and Phanuel shall take hold of them on that great day and cast them into the burning furnace, that the Lord of Spirits may take vengeance on them for their unrighteousness” (54:1- 6)… I looked until a throne was erected in the pleasant land and the Lord of the sheep sat himself on it and the other took the sealed books and opened those books before the Lord of the sheep…And those seventy shepherds were judged and found guilty and they were cast into that fiery abyss” (90:20, 25). In these passages we not only read of the “complete condemnation” of the wicked with no hint of future restoration, but also a throne set up whereon the Messianic Lord of the sheep sat to administer final judgment—the image perhaps in our Lord’s mind when He told the parable of the sheep and the goats, and something that clearly would have been in the mind of His audience when they first heard that parable. These three passages (more could be cited) reveal how those who first heard Christ speak of the punishment of the wicked in the age to come would have understood Him. The concept of a punishment of limited duration functioning only to correct the wicked prior to their ultimate restoration is alien to the mindset of this inter-testamental Judaism. For this reason alone the words kolasin aionion must be rendered “eternal punishment”. Dr. Hart’s rendering of “ the chastisement of that Age” is forced and idiosyncratic. It stands opposed to the usual meanings of the words themselves, their cultural context, and the translations of almost all the versions. His insistence upon finding universalism in the New Testament is done in spite of this text’s clear meaning. Fr. Lawrence serves as pastor of St. Herman's Orthodox Church in Langley, BC. He is also author of the Orthodox Bible Companion Series along with a number of other publications. Christian Universalism: Will Everyone Finally Be Saved? Those He loveth, He pruneth. Chastisement, restraint, pruning, amputation – cf. George MacDonald’s climactic amputation in ‘Lilith’ – can be permanent, and yet not eternal misery. All those horrors have plentiful verbal backing, but what heart can concur? Thank you for your comments. I realize that your final question was rhetorical, but I would like to respond to it anyway, since I think it well illustrates the difference between universalists (like McDonald) and myself. By “heart” is meant not the organ of decision (its Biblical meaning) but the emotions. That is, good and sensitive people sometimes find the Church’s traditional teaching about eternal punishment (the Church’s “plentiful verbal backing”) too emotionally difficult and their “heart” cannot “concur” with it. I suggest that theological concurrence should be given to teachings based on our reading of the Scriptures, not on our emotional reaction to it. I have noticed from the comments on my previous blogs on this topic that very rarely does the person objecting engage with my exegesis. Rather, other objections are raised apart from the teaching of Scripture because “their heart cannot concur”. To answer the rhetorical question “what heart can concur?”–the heart previously captivated by the Scriptures. The writer meant ‘heart’ in the broadest sense, including the faculty and origin of decision. Your subsequent use of emotion as a premise is false. Good and even insensitive people, for it is not an instance of sensitivity, do not find it ‘difficult’, as with a problem too great for one’s capacity – rather, such people find the Hellish teachings shameful and abhorrent, as well as otiose. As for Scripture, be honest. You are reading, as anyone must, via your manner of interpretation . Yes, you may find many, ever perhaps most, Orthodox texts in agreement. The fact that there are some, rightfully due the respect we give to the Scriptures and the Fathers, that support universalism and/or impermanent punishment, convicts you of choosing your position. “Enjoy ye all the feast of faith: Receive ye all the riches of loving-kindness. let no one bewail his poverty, for the universal kingdom has been revealed. Let no one weep for his iniquities, for pardon has shown forth from the grave. Let no one fear death, for the Savior’s death has set us free. He that was held prisoner of it has annihilated it. By descending into Hell, He made Hell captive. He embittered it when it tasted of His flesh. And Isaiah, foretelling this, did cry: Hell, said he, was embittered, when it encountered Thee in the lower regions. It was embittered, for it was abolished. It was embittered, for it was mocked. It was embittered, for it was slain. It was embittered, for it was overthrown. It was embittered, for it was fettered in chains. It took a body, and met God face to face. It took earth, and encountered Heaven. It took that which was seen, and fell upon the unseen. — St. John Chrysostom without equivocation. Pascha. Every year. Actually, wonderful as the quote is, it is not by John Chrysostom, but only attributed to him. But it does express the Paschal victory, whoever actually wrote it. Its author, and certainly Chrysostom himself, would be the first one to believe the teaching of the Scriptures. Thus commenting of 2 Thessalonians he preached: “There are many men, who form good hopes not by abstaining from their sins, but by thinking that hell is not so terrible as it is said to be, but milder than what is threatened, and temporary, not eternal; and about this they philosophize much. But I could show from many reasons, and conclude from the very expressions concerning hell, that it is not only not milder, but much more terrible than is threatened. But I do not now intend to discourse concerning these things. For the fear even from bare words is sufficient, though we do not fully unfold their meaning. But that it is not temporary, hear Paul now saying, concerning those who know not God, and who do not believe in the Gospel, that ‘they shall suffer punishment, even eternal destruction’. How then is that temporary which is everlasting?…His coming only to some indeed will be light, but to others vengeance” . Pascha is more public, more general, and more authoritative in a sense, even than an Epistle, being directed to one and all, in a manner more catholic than any letter, and validated by the Fathers who installed the Paschal Liturgy. The quote, over the authorship of which you quibble, is watertight as regards the contents. And perhaps the Holy Spirit had some additional insights to offer to the good Fathers who lived later than Paul. I have no problem with the Paschal quote, though it is irrelevant to the issue at hand. And I reject categorically the concept that the Holy Spirit could inspire later writers to contradict St. Paul or any of other authors of Holy Scripture. I read Unquenchable Fire as one of those people who says, “I don’t know if everyone will be saved, but I incline to that view and I sure hope so. We will all have to wait and see.” (I took that quote from your book). Yes, I’m sentimental and my heart aches for those who seem to be lost (because I cannot judge), and I know what Jesus said about the fires of hell, which is why I pray. I pray for them, I pray for me. As a young woman, I remember my dad (LCMS Lutheran) saying something to the effect that if he was not saved, then it was God’s will. When Alzheimer’s took his mind, he would keep repeating, “Thy will be done.” I think I’m beginning to understand what Dad meant. God bless your dad, but I would never say that if your dad was not saved it was somehow God’s will, for the Scriptures reveal that He wills that all be saved and come to the knowledge of the truth. I would guess that if he kept repeating, “Thy will be done”, then he had nothing to worry about. I often quote the story (possibly apocryphal; it comes from a movie) about Thomas More. When he was about to be beheaded for the “treason” of not accepting the King of England as the head of the Church, he consoled the executioner by telling him, “Don’t feel bad; you are simply sending me to God”. When the archbishop of Canterbury objected that as a condemned “heretic” he would certainly not be saved, he replied, “God will not reject someone who is so happy to see Him.” This I firmly believe. It all depends upon a person’s fundamental orientation of heart, and what they have done with the light they have received. I have no reason to think that someone who constantly says to God “Thy will be done” will not dwell with the blessed. I don’t believe he is lost either, but what he said to me was so “not Lutheran” that I have been puzzling over it for years. I do know how he trusted in God, so I wasn’t worried, but I think there are times I wish I would have questioned him as to what he meant. I think I’ll stick with St. Isaac and not Fr. Lawrence’ interpretation. His insistence on “God’s wrath” and endless punishment is at least consistent, but I have no idea why someone would want to “calumniate” God as Fr. Lawrence so eloquently does in nearly every blog according to St. Isaac. He doesn’t ever quote Jonathan Edwards but I feel like I’m reading someone from the “Great Revival” every time I read a new blog from Fr. He himself is a good and kind man. Why doesn’t he think God is? Thank you for an irenic and thoughtful response. My sense of St. Isaac is that he is saying that one cannot attribute to God the irascibility and passions that afflict angry men. That was St. John’s Cassian’s take on the topic, in his Institutes, ch. 8, where he (quite properly) says that such things as human irascibility “cannot be understood literally of Him…neither can the passion of anger and wrath be attributed to that unchangeable nature without fearful blasphemy”. I suppose I must leave St. Isaac to scholars who know his works better than I do. But even if St. Isaac (something of a poster boy for universalism; his name always comes up) does deny the reality of eternal punishment, one must prefer Christ and His apostles to any other view, however holy the who holds may be. ““God is good, dispassionate, and immutable. Now someone who thinks it reasonable and true to affirm that God does not change, may well ask how, in that case, it is possible to speak of God as rejoicing over those who are good and showing mercy to those who honor Him, and as turning away from the wicked and being angry with sinners. To this it must be answered that God neither rejoices nor grows angry, for to rejoice and to be offended are passions; nor is He won over by the gifts of those who honor Him, for that would mean He is swayed by pleasure. It is not right that the Divinity feel pleasure or displeasure from human conditions. “The pagan Greek mentality could not comprehend that the cause of hell was not God but His logical creatures. If God was not really free, since He was governed by Necessity, how could His creatures be free? God could not give something which He did not possess Himself. Moreover, the pagan Greek mentality could not conceive of disinterested love. Freedom, however, is the highest gift that God could give to a creature, because freedom makes the logical creatures like God. This was an inconceivable gift for pagan Greeks. They could not imagine a creature which could say “no” to an almighty God. If God was almighty, creatures could not say “no” to Him. So if God gave men His grace, men could not reject it. Otherwise God would not be almighty. If we admit that God is almighty, then His grace must be irresistible. Men cannot escape from it. That means that those men who are deprived of God’s grace are deprived because God did not give His grace to them. So the loss of God’s grace, which is eternal, spiritual death, in other words, hell, is in reality an act totally dependent on God. It is God Who is punishing these people by depriving them of His grace, by not permitting it to shine upon them. So God is the cause of the eternal spiritual death of those who are damned. Damnation is an act of God, an act of God’s justice, an act of necessity or cruelty. As a result, Origen thought that if we are to remain Christians, if we are to continue to believe that God is really good, we must believe that hell is not eternal, but will have an end, in spite of all that is written in the Holy Scripture and of what the Church believes. This is the fatal, perfectly logical conclusion. If God is the cause of hell, hell must have an end, or else God is an evil God. “Origen, and all rationalists who are like him, was not able to understand that the acceptance or the rejection of God’s grace depends entirely on the rational creatures; that God, like the sun, never stops shining on good or wicked alike; that rational creatures are, however, entirely free to accept or reject this grace and love; and that God in His genuine love does not force His creatures to accept Him, but respects absolutely their free decision.32 He does not withdraw His grace and love, but the attitude of the logical creatures toward this unceasing grace and love is the difference between paradise and hell. Those who love God are happy with Him, those who hate Him are extremely miserable by being obliged to live in His presence, and there is no place where one can escape the loving omnipresence of God. “Paradise or hell depends on how we will accept God’s love. Will we return love for love. or will we respond to His love with hate? This is the critical difference. And this difference depends entirely on us, on our freedom, on our innermost free choice, on a perfectly free attitude which is not influenced by external conditions or internal factors of our material and psychological nature, because it is not an external act but an interior attitude coming from the bottom of our heart, conditioning not our sins, but the way we think about our sins, as it is clearly seen in the case of the publican and the Pharisee and in the case of the two robbers crucified with Christ. This freedom, this choice, this inner attitude toward our Creator is the innermost core of our eternal personality, it is the most profound of our characteristics, it is what makes us that which we are, it is our eternal face – bright or dark, loving or hating. I (Brian) have always thought it helpful to understand that God is judge, because of Who He IS as opposed to what He DOES, even though from our point of view there may seem to be little difference..
You certainly have the gift of zeroing in on the most pertinent quotes. It is beyond me how one could disagree with what is said here, but undoubtedly many do. Whatever one’s bent, there the mind goes. What you said at the end that God is Judge because of “Who” He is…yes, absolutely. This is the deal….there is nothing wrong with wondering about things such as ‘well, but they are such a “good” person’ or ‘well, what about the Ubangi’s in Africa or the undiscovered people groups in the forests who don’t know our God, or (fill in the blank)…’ . But guess what? We don’t know ‘what about them’. But there’s One who does know and He judges rightly (as stated above ” it is not an external act but an interior attitude coming from the bottom of our heart, conditioning not our sins, but* the way we think about our sins*…). But who are we to question and decide how He should judge?! My God….I don’t get it. That’s why it is so frustrating for me to enter into these conversations (but here I am…again!). WE DON’T KNOW “innermost core of [another person’s] eternal personality”. I’ve heard it said that we might be quite surprised to see who “made it” and who didn’t. I think there’s some truth to that. And the argument that because we ‘have the seed of corruption within us’ we are not responsible for our choices is just another way of saying that God is not capable of judging rightly…plus it is a bit too close to Calvin’s theology…which is a disaster. God is good, He does not wish that anyone should perish, I trust Him completely, and I pray….even to go as far as to plead for His mercy and spare us all, taking a cue from Abraham and Moses….but that’s it…far be it from me to decide HOW He’s going to carry all that out. I have to say….I am amazed and wonder how Origin got sidetracked. The quote says he was a rationalist…what is that? too much reasoning, leaning on his own understanding? I don’t know… I don’t discount all of what he’s written, but when it comes to the Fathers on this particular topic, for example Origin or St. Anthony….I’m going with St. Anthony. 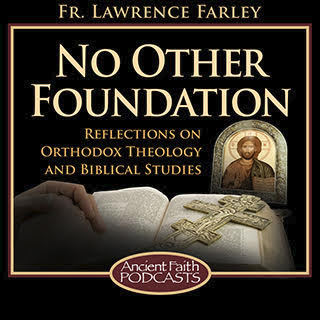 Finally, I appreciate Father Lawrence’s answer regarding the intention of St. Isaac words (and St. John Cassian), “that one cannot attribute to God the irascibility and passions that afflict angry men.. .” etc, as this is in line, again, with the general consensus of the teachings of the Church. Thank you Brian for your post. They, for me, are always most welcome. It is His very existence (and not merely His divine ability to be fair in His decisions) that constitutes His judgment of us in the present, and His unmediated presence is the future judgment. This is the meaning of saying,” God is judge because of who He is.” It is analogous to fire in the sense that fire itself bears no ill will, anger, or “vengeance.” Nor does it seek to “punish.” But by coming into direct contact with various materials, it judges (reveals them to be) what they are. They are either “worthy” (by which I mean CAPABLE, not “deserving”) of union with the fire, or they are “unworthy” (and by this I do not mean undeserving) of this union and are consumed. Nearly every Scriptural and Patristic reference to His judgment and His coming to judge the earth is framed in these terms Even those that do not directly frame His judgment in these terms have reference either to our refusal to share in His love (“For I was hungry, and you gave me no food. I was thirsty, and you gave me no drink…”) or to putting an end to temporal evil that has become irredeemably entrenched (something only God knows) as in the Great Flood, the destruction of Sodom and Gomorrah, and consciously unrepentant mankind at the end of this age. God loves all His creation and all His creatures at all times, and He will never cease in His love. He loves Lucifer. He loves the demons. He loves sinners. He loves every one and every thing as much as He loves the angels and the Saints. He loves His friends; and, just as He commands us to do, He loves His enemies. His love is like the sun, shining on all with the same glory and beneficence, begrudging no one of His goodness and life and inviting all to receive. And His love is like fire. Brian, thank you! God bless….very well thought out, the meaning of being tried in the fire…the fire being analogous of Christ’s presence, of His pure love which is all consuming, as Fire. I have read Kalomiros, and as you say, finally saw the truth of what he was saying in the passages of scripture, and most important, through the Orthodox Church. My experience is similar, but it’s hard for me to put these things I am learning into words. You did it well, and it is so very helpful. I am by far not done contemplating these wonders. As I see it, this analogy of fire is one way to express the inexpressible power of God’s love. It is so powerful that just Its presence, this essence of His love, is the very thing that will determine, as you say, whether we will be capable of standing before Him. Again, it is NOT punishment or meant in ill-will, as fire in and of itself does not bear these things. It is as the analogy goes, you are either like iron and become as the fire, or stubble and perish in it; a reflection of whether we persistently turned to or away from Him. Yet I know it is not as cut and dry as I make it sound. Regarding my first response to you, my point was that we do not know what the day of judgement is going to look like to the eye, in front of our face. Exactly what is going to appear on that day. I try to imagine what exactly this is going to look like, Christ’s appearance and the judgement itself, and it is impossible. But God does reveal to us, by the words of scripture, enough for us to understand what we need to know. We get a big hint in the Transfiguration…but many questions are left unanswered. That is why I feel it is best to leave this subject alone at a certain point. Again, I thank you, especially for relating the words of scripture to all this. It is a blessing to contemplate these things. I don’t think I would have ever been exposed to these truths had I not entered into the Orthodox faith. Glory to God, I did. And that no purpose of Yours can be withheld from You. Things too wonderful for me, which I did not know. But now my eye sees You. Lord have mercy on me. I am an ignorant man. Thank you very much for this clear and direct post Fr. Lawrence. Frankly, there’s a lot of subterfuge going on these days, even within Orthodoxy. I’m thankful for folks like you who are willing to cut through the nonsense and call things as they are, even when that goes against what we wish things might be. Oh for goodness sake – subterfuge my eye. Most of the early Church and early Fathers were universalists of one sort or another and even through the Cappadocians we see no pushback at all on this view. Apparently they were able to square this with their reading of the New Testament language. Perhaps they were all wrong but let’s be honest: they were thoroughly Orthodox nonetheless. At the least we can say the same today. Greg: you are simply wrong about most of the early Fathers being universalists. I could burden the comments section with patristic citations, but perhaps I could simply commend my book, where many of the citations are found. The overwhelming majority of them believed that not everyone would be saved–including Ignatius of Antioch, the author of 2 Clement, of the Epistle of Barnabas, of the Epistle to Diognetus, of the Martyrdom of Polycarp, Justin Martyr, Tatian, Irenaeus, Tertullian, Cyprian of Carthage, among others. To which early universalist Fathers do you refer? You are correct, that should have read “most of the early Church and many of the early Fathers”. It is true that at least some of those cited appear to have views that might be read as contrary to universalism: Irenaeus seems to have been explicitly an “annihilationist”, for example, though none in so far as I can tell evince anything like the modern doctrine of eternal hellfire. To be totally accurate, the earliest Christians didn’t appear to have a developed dogma around the afterlife: St Paul certainly paints a universalist vision, though it would be anachronistic to label him a Universalist with a capital “U”. On the other hand, what he certainly never expounded and what would be incompatible with his teachings is something like the doctrine of eternal hellfire. This strain of teaching and belief has never been absent from the Church and never condemned as such. Even in the 20th century, some of the most important theologians and saints of the Orthodox Church were universalists in one sense or another – Martyr Pavel Florensky, Sergius Bulgakov, St Silouan, … none of whom were ignorant of the Scriptures. What I am taking exception to is this notion of “subterfuge”. If we are to be honest, right or wrong, various forms of universalism has always existed in the Orthodox Church. In fact if we are being completely honest, there are many different teachings on the afterlife that have been, at the least, tolerated in the Church. We have a lot of theories around gnostic toll houses and such floating around – I can find references to them in liturgical prayers, as well as universalist prayers and prayers about hell. Maybe they are all compatible – I don’t know – they don’t look that way to me for the most part. I can’t claim to know much about the afterlife, I guess we will find out in the Age to come. Until then perhaps a bit of ambiguity and humility suits us all. Ramelli’s book, often cited by others with a kind of hushed reverence, does not deserve the respect it frequently receives from some. She distorts what some of the Fathers actually say and promoting Bardaisan as an authority when Sozomen referred to him as a heretic is just strange. May I refer to my blog piece on her book at: blogs.ancientfaith.com/nootherfoundation/grasping-straws-tower-academia/ . And the NT itself is abundantly clear that hellfire is eternal. At the risk of continuing to sound the same monotonous note, I look at the NT material at some length in my book. I don’t believe the issue is ambiguous at all. The Church has clearly decided against universalism, as its hymnography shows. I do take your point about the word “subterfuge” however, in that I don’t think that those arguing for universalism are being dishonest or insincere. And I thank you especially for the thoughtful and irenic tone of all your comments. It is a pleasure to dialogue with brothers like yourself. First of all, it is a rare pleasure to disagree with someone cordially on the Internet: thank you Father for setting a standard that I regret is not the norm. That in itself is a Christian witness in my view. I am not defending Ramelli’s work – I am no qualified to do so in any case – that was my lazy way of responding quickly. That said, I think the point stands. I would also draw reader’s attention to the Alfeyev’s Christ the Conquerer of Hell for a survey of the theological meaning of Great and Holy Saturday, esp. the portions of the services that suggest a universal redemption. As I say, the liturgical material is suggestive in different ways at different times. I am fairly certain Alfeyev is at heart a universalist, as an aside. Thank you! Do you have a link where we could find and order Alfeyev’s book? As with his study of St Isaac (also excellent) Alfeyev is quite guarded on his own views (which I take to be a political necessity, for better or for worse, given his position in the Russian Church). In any case and independent of the discussion at hand, this is a very excellent book. Not to belabor the topic, as there’s not much more to be said that won’t degenerate to re-hashing, but I do think that readers should avail themselves the time to read Hart’s “scientific postscript” to get a sense of his reasoning, his views on the interrelationship between the Greek and Hebrew, etc. I suppose that one could view the recent spate of literature on aionios and its relationship to concepts of “hell” as a form of late revisionism, but that does not seem to be the case for many of the Greek speaking Fathers, so I am inclined to be somewhat dismissive of that objection. All of that said, its been nearly 30 years since I studied any Greek and it was in the context of classical philosophy not Scripture, so really my views are those of a dilettante (at best). And emphasizes the words “any sin and blasphemy shall be forgiven people”. What an odd conclusion. When Christ talked about all sins being forgiven except blasphemy against the Holy Spirit it is clear that repentance for the sins is presupposed. That is, we are forgiven IF we repent; if we do not repent, there can be no forgiveness. Bonda is really grasping at straws. And then why not conform Mt.25:46 to these earlier statements in the book of Matthew, rather than the other way around? Repentance before forgiveness is assumed in both passages. The idea that we can have forgiveness and reconciliation with God apart from repentance is alien to the NT and to the entire Orthodox tradition. The Desert Fathers, for example, are emphatic that without repentance there can be no life. Certainly repentance is involved in salvation. Therefore when it says He “shall” save His people Israel from their sins (Mt.1:21; 2:6), it implies that they “shall” also repent. Likewise when we read that every sin and blasphemy “shall” be pardoned (Mt.12:31, etc), it implies that those who have committed such sins “shall” also repent. One necessarily goes with the other. Repentance necessarily goes with salvation. “Now the Berean Jews were of more noble character than those in Thessalonica, for they received the message with great eagerness and examined the Scriptures every day to see if what Paul said was true.” (Acts 17:11). That everyone who heard the parable (Mt.25:31-46) would have reached the same conclusion as you describe is quite a stretch. What are the chances that every single Jew had exactly the same view, even among a single group like the Pharisees? What are the odds that all three views – endless torments, annihilation & universalism – did not have a following amongst the Israelites? Likewise re those 1st century people to whom Mathew’s gospel was addressed in the Greek language. Matthew’s gospel doesn’t quote from those “passages”, but it does quote often from the Scriptures, so that would be the best place to search to speculate about what the Jews may have thought about what He was saying in Mt.25:31-46. Clearly Matthew turns his readers attention to the sacred Srciptures, not to Jewish myths. Can we assume that unending torments was the only view of all Jews of Jesus’ time (c.30 A.D.)? No, it is generally thought that the Sadducees did not believe in any afterlife at all. Did none of those living at that time believe in annihilation or universal reconciliation? How would one know, being 2000 years removed from the scene. Even if you were living then, you’ld have to be omniscient to know what everyone thought, including the view of the Lord Jesus Himself. Philo (c. 20 BC-50AD) is considered to have advocated the annihilationist viewpoint. Soon after his time are the Sibylline Oracles & other writings that include a Christian belief in universalism, which probably did not just originate out of nowhere or without previous advocates at the time of Jesus & before. Furthermore, who can say how many writings have been destroyed by those who conquered & ruled with the sword, e.g. zealous pro endless hell advocates. Those writings are generations & centuries before Christ, so they don’t tell us what the various beliefs were at the time of Christ (c. 30 AD) anymore than the beliefs two centuries after Christ tell us what Jews believed in 30 AD. Those Jewish writings are not inspired of God’s Spirit. So what kind of spirit inspired them – good or evil? Ezra that he will be unable to discover God’s hidden ways, but assures that God’s intention is salvific….5,40. Thus, in Ch6, the eschatological time of salvation is described, when evil will be eliminated…(6,25-28). Evil will disappear because human hearts will be changed by God.” (p.36-7; Ilaria Ramelli, The Christian Doctrine of Apokatastasis: A Critical Assessment from the New Testament to Eriugena (Brill, 2013. 890 pp.). The fact that the inter-testamental writings are not canonical is irrelevant, as is the fact that some Jews like the Sadducees did not believe in an afterlife at all. I did not say that all Jews believed the same thing. I said that the Jews listening to Christ’s words about punishments in the afterlife would have heard and understood Him when He spoke about kolasin aionion through the lens of the inter-testamental writings–i.e. as referring to endless punishment. No apocalyptic work in this period spoke of universalism or annihilationism; the punishments for the wicked in the age to come were conceived of as eternal in duration. And these works were not written “centuries before Christ”, but many date from around His time: the Assumption of Moses has been dated to the first century AD, as has 2 Baruch. The Book of Enoch is not a series of “Jewish horror tales” but is quoted by Jude in his epistle. These works may not be so lightly cast aside as interpretive tools merely because you find their contents uncongenial. Your reading of 2 Esdras is simply incorrect. What the author means in 2 Esdras 4:41f is that the souls in Hades are released to judgment, not to salvation. The image of a womb giving forth its contents after the appointed nine months answers the question (v. 38-39) of whether the time of threshing (i.e. judgment) could be delayed. The answer: No, judgment will come at the appointed time in the same way as childbirth comes after the appointed nine months. Saying that 2 Esdras in “not an overtly universalist text” is like saying that Luther was not a proponent of papal infallibility: 2 Esdras explicitly and emphatically denies universalism. Yes… and? Referencing book of jubilees on sodom- Ezekiel 16:53 “in the later days I will restore the fortunes of sodom and Gomorrah” So no matter how “bad” it is on judgement day, sodom is going to be restored and forgiven. I checked 2 Esdras 7:32 and did not see the same verse mentioned you quoted. 4 Esdras mentions that “hell” will release its inhabitants. Do you also accept that as inspired? From my knowledge, the book of jubilees and of enoch are not considered sacred scripture. Some accept them, some don’t. Instead of going to the 66 universally accepted books, you go to apocryphal books… that’s not reputable scholarship if you are trying to make a case. But following the example, Josephus in his writings believed in “eternal torment” and it was aidios timoria. Literally- eternal torment. Probably influenced from Zoroastrianism (Babylon is still alive and well) they have Greek words for eternal, everlasting, perpetual, and endless. And not a single one is “aion” or any of its forms. From the Greek septuigant- Jonah was in the belly of the whale “aionios”. I own the septuigant and have confirmed this myself. And I could care less what some spurious writings say. There are over 100 scriptures that contradict eternal torment. It’s the worse fitting theory of them all. Anhillationism fits way better. But Universal Reconciliation is the best fit. Isaiah 45:23-25(LXX)-“By myself I swear, righteousness shall surely proceed out of my mouth; my words shall not be frustrated; that to me every knee shall bend, and every tongue shall swear by God, 24 saying, Righteousness and glory shall come to him: and all that remove them from their borders shall be ashamed. 25 By the Lord shall they be justified, and in God shall all the seed of the children of Israel be glorified” Done. No matter what the end might be. Every tounge shall swear and be justified. 1 Corinthians 12:3(YLT)-“and no one is able to say Jesus [is] Lord, except in the Holy Spirit” we are all aware that everyone shall confess Jesus is lord in the end. Joel 2:28 (LXX)-“that I will pour out of my Spirit upon all flesh” And no one can confess Jesus is lord without the Holy Spirit. To say otherwise is to contradict scripture. And what does Romans have to say?- Romans 10:10-“confession made to salvation” DONE. I’m so sick of everyone throwing dirt into the eyes of those who believe in the TRUTH. “Well here it says, well here’s a verse that….” To say someone can confess Jesus as Lord without the Holy Spirit, you contradict scripture. And to say that confession does not lead to salvation (there is no time limit to that in the context) is to go against Romans 10:10. Emperor Justinian who called the council to condemn universal reconciliation, said- “The holy church of Christ teaches an endless aeonian (ateleutetos aionios) life to the righteous, and endless (ateleutetos) punishment to the wicked” What, Pray Tell , if “aionios, aionion, aion” means “eternal” then there would be no point in adding “endless” “endless eternity”? That’s foolish. That right there is the nail in the coffin of the Babylonian doctrine of eternal punishment. That meeting was called by an emperor, not a bishop, not the “pope” not a “patriarch” but a government official. It’s all about control. It should also be noted, that emperor Justinian was a pagan. He didn’t care about Christianity, he wanted to control the people. Paul praised the Bereans for checking what he said against scripture every day to see if the things were so. Go read acts and you can see it for yourself. When you start comparing what the Pharisees teach today, to the Bible. It doesn’t add up. More and more people are catching on to the smoke and mirrors of modern theology and abandoning it. Good for them. Just a few things by way of response to your somewhat over-heated comments. 1. The context of Ezekiel 16 reveals that Sodom, like Samaria, is restored upon their repentance. The whole message of Ezekiel is that sin must be repented of before restoration and forgiveness is possible. 2. My reference was to “2 Esdras 7:32f”—note the “f” for “following”, meant to put the verses cited in their immediate context. The actual verses cited are verses 32, 36, 38. 3. A careful reading of the reference in 2 Esdras 4:38f to Hades releasing those within it refers to the release of its prisoners to judgment, not to salvation. The passage answers the question about whether or not the judgment is delayed (v.39) and the angel says that just as after nine months the child must emerge from the womb (v.40), so after the appointed time the judgment must come. That judgment is what comes after the release is clear from its description as “threshing”. 4. The point is not that the pseudepigraphal literature like Enoch and Jubilees is “inspired” but that it reveals the culture in which our Lord’s words was first heard. Any scholarly approach to the issue will take into account the surrounding culture in which a passage is found. Okay, I will bite. Lets look at Ezekiel 16:53 and see if it stands. I will use the Septuagint (LXX from hereon out) Ezekiel 16:53- 63 ” And I will turn their captivity, the captivity of Sodom and her daughters; and I will turn the captivity of Samaria and her daughters; and I will turn thy captivity in the midst of them: 54 that thou mayest bear thy punishment, and be dishonoured for all that thou hast done in provoking me to anger. 55 And thy sister Sodom and her daughters shall be restored as they were at the beginning, and thou and thy daughters shall be restored as ye were at the beginning. 56 And surely thy sister Sodom was not mentioned by thy mouth in the days of thy pride: 57 before thy wickedness was discovered, even now thou art the reproach of the daughters of Syria, and of all that are round about her, of the daughters of the Philistines that compass thee round about. 58 thine ungodliness and thine iniquities, thou hast borne them, saith the Lord. 59 Thus saith the Lord; I will even do to thee as thou hast done, as thou hast dealt shamefully in these things to transgress my covenant. 60 And I will remember my covenant with thee in the days of thine infancy, and I will establish to thee an everlasting covenant. 61 Then thou shalt remember thy way, and shalt be utterly dishonoured when thou receivest thine elder sisters with thy younger ones: and I will give them to thee for building up, but not by thy covenant. 62 And I will establish my covenant with thee; and thou shalt know that I am the Lord: 63 that thou mayest remember, and be ashamed, and mayest no more be able to open thy mouth for thy shame, when I am reconciled to thee for all that thou hast done, saith the Lord” I don’t see any mention of repentance here. Instead I see “when i am reconciled to thee” AKA Christ’s work on the cross 1 Colossians 1:20. They cant “repent” because the inhabitants are dead. I took some interest in 2 Esdras and have been digging all day. Here’s something interesting. Most translations omit the last verse. The latin vulgate (which you know is on par with the greek septuagint) Has oddly, a couple of verses not seen in the orthodox version. If you don’t believe me, take a look- https://www.biblestudytools.com/vula/2-esdras/passage/?q=2-esdras+7:34-44 …. Let’s see what verse 43 has to say-“For it will last for about a week old” hmmmm his judgement will only last for about a week. Again, this supports the truth. There will be terrible torments. But it will be limited and corrective because “an unbalanced scale is an abomination to God”-Proverbs 11:1. I (sadly) dont have the book of jubilees. But i will dig into it and see what i can find. No reasonable OT exegete thinks that Ezekiel is here predicting the final restoration of Sodom in the apokatastasis at the end of time. Ezekiel’s concern is entirely with the southern kingdom of his day. His point was that the southern kingdom of Judah was as sinful as the northern kingdom of Israel which was recently destroyed and even as sinful as ancient Sodom which was destroyed for their sins centuries before. The idea that repentance was excluded from consideration is absurd, given the over-arching message of Ezekiel and all the prophets. Ezekiel’s point in 16:53f is that the restoration of the entirety of the Holy Land–from Sodom in the south to Samaria in the north–reveals that Judah’s ultimate restoration can afford them no ground for boasting. I can only suggest that anyone interested in Ezekiel 16 refer to any reputable modern commentary. I notice you didn’t comment on the Vulgates very telling addition to 2 Esdras….. As for your ezekiel comment. I’m not here to argue over exegetical procedure. But that it directly contradicts Jude 1:7 “suffering the vengeance of eternal (aioniou) fire” 1. Sodom (according to scholars) is currently underwater, and 2. It will be restored. I dont see how you can see this in any other way. It clearly says he will restore and reconcile them. “THUS SAITH THE LORD” I take his word at that. He literally says he will restore them. And you say- “no reasonable exegete seriously thinks Ezekiel is predicting the final restoration” I dont care what an “exegete” says, if they contradict scripture. Did you even read the verse? “that thou mayest remember, and be ashamed, and mayest no more be able to open thy mouth for thy shame, when I am reconciled to thee for all that thou hast done, saith the Lord” He literally says, “they shall never open their mouth to me again for they are ashamed”. When a theology directly denies scripture, you know they are off base. “I will restore the fortunes of sodom and her sisters” and accordingly-“No reasonable person thinks this means he is going to restore sodom” Has Sodom been restored yet? Has Moab? Nope. Unless you be a preterist. I don’t use it as a “proof” of UR, but any verse talking about how bad sodom has it, ignores this verse. “reputable modern commentary” is an oxymoron. They literally deny scripture. Ive seen it myself. As a responsible pastor I cannot discount the work of scholars in their “exegetical procedure” regarding the Scripture. The restoration of Sodom in Ezekiel 16 is part of the Messianic restoration of all the Holy Land, and refers to God’s work in this age, not in an apokatastasis at the end of time. Your wholesale dismissal of modern scholarship I utterly reject. “There is nothing limiting it in Matthew 25:46” yes there is. Go read Joel 3:1-2. This is a national judgment. Its specifically for gentiles on how they treated Israel and the Jewish people. I’ll quote from Marvin Vincent’s word studies “The adjective αἰώνιος in like manner carries the idea of time. Neither the noun nor the adjective, in themselves, carry the sense of endless or everlasting. They may acquire that sense by their connotation, as, on the other hand, ἀΐ̀διος, which means everlasting, has its meaning limited to a given point of time in Jud 1:6. Ἁιώνιος means enduring through or pertaining to a period of time. Both the noun and the adjective are applied to limited periods. Thus the phrase εἰς τὸν αἰῶνα, habitually rendered forever, is often used of duration which is limited in the very nature of the case. See, for a few out of many instances, lxx, Exo 21:6; Exo 29:9; Exo 32:13; Jos 14:9; 1Sa 8:13; Lev 25:46; Deu 15:17; 1Ch 28:4. See also Mat 21:19; Joh 13:8; 1Co 8:13. The same is true of αἰώνιος. Out of 150 instances in lxx, four-fifths imply limited duration. For a few instances see Gen 48:4; Num 10:8; Num 15:15; Pro 22:28; Jon 2:6; Hab 3:6; Isa 61:8” Even “aidios” WHICH MEANS EVERLASTING is limited by the “example of sodom suffering eternal fire” except that fire is age-abiding in literal translations. Why? Because sodom isn’t burning, and it’s going to be restored! Who cares what 2 Esdras says. It was a JEWISH WRITING. Christian writings at the time are mostly universalist. Apocalypse of peter, syllabine oracles, etc. The Jews at the time believed in eternal torment, and they used very different words to describe it. Not “aionion kolasis”. Give it up already. There are over 15 translation with no mention of “eternal” in connotation to the punishment. How do you explain the early church fathers that were universalist? Let me guess. They didn’t understand Greek? When it says “aionion” it means pertaining through an age. It does not mean the next age was seen as “eternal” for there is an age after that, there are “ages to come” and “and end of the ages” it’s a calendar almost. 5 ages in total, with before the eons, and after the eons end (with God all in all) for a total of 7. Gods favorite number. Everything pertains and happens within these eons. I don’t care what some Jewish horror tales say. Why don’t we consult some gnostic gospels while we are at it? I’m sure they can shed some light. A brief reply to your over-heated comments: 2 Esdras is a “Jewish writing” just as rest of the Old Testament are “Jewish writings”. In Orthodoxy, 2 Esdras is accepted as part of its extended Old Testament canon, which is why it was included in the “New Oxford Annotated Bible with Apocrypha”. As the distinguished Bruce Metzger says in his introduction, it is among the books “considered apocryphal by Protestants and Roman Catholics, but are in the Greek canon”. That is why as an Orthodox Christian I “care what 2 Esdras says”.